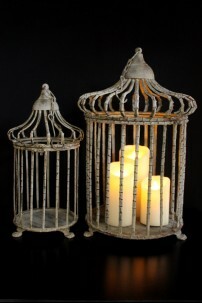 BIRDS OF A FEATHER CAGE (SET OF 2) Small Height: 15 in Large Height: 17 in *Ships by pallet only,..
Country Cottage Lanterns (set of 2) Small Height: 18", Large Height: 24" *Ships by pallet only, c..
COUNTRY MANOR LANTERN 7 x15 x18 in *Ships by pallet only, candle not included. 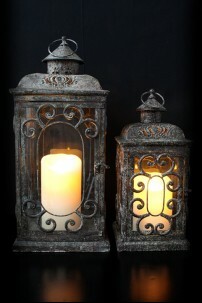 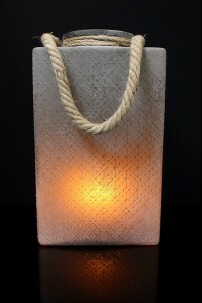 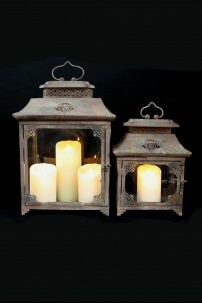 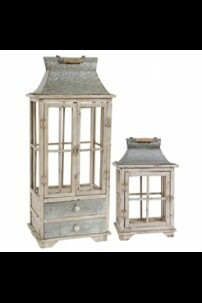 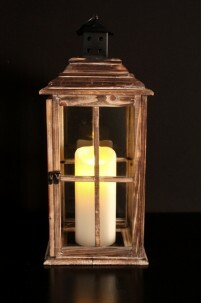 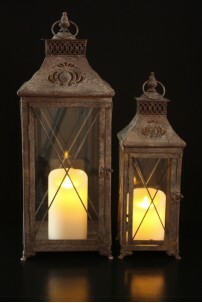 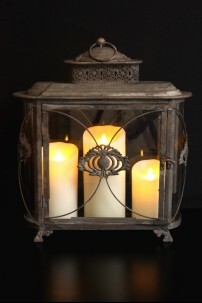 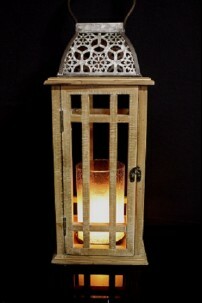 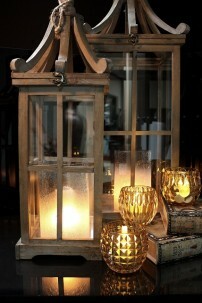 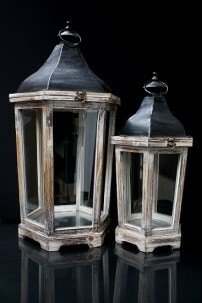 ..
English Country Side Lantern 9" x 9" x 23" *Ships by pallet only, candle not included. 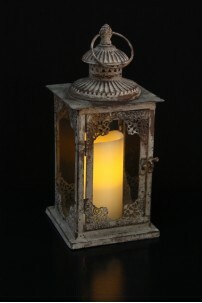 ..
Metal Lantern set of 2 - [7" Width x 11" Length x 16" Height (Small Piece)] and [9" Width x 14" L..
Moroccan Café Lantern, 6 x 6 x13 in *Ships by pallet only, candle not included. 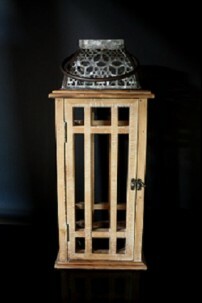 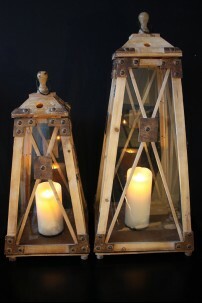 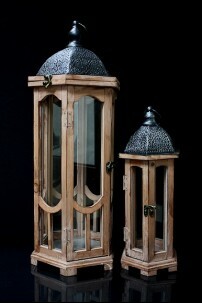 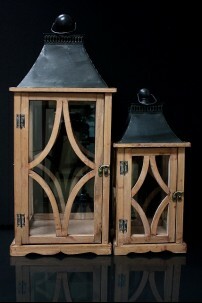 ..
Wood Glass Lantern, set of 2 - [14" Width x 14" Length x 33" Height (Large Piece)] and [11" Width..
METAL AND WOOD LANTERN 8.5x8.5x18.5 (485405) ..
METAL AND WOOD LANTERN 8.5x8.5x20.5 (485404) ..
SET OF 2 LANTERN SET W HANDLE & DRAWERS (901297) SHIP PALLET ONLY ..
Set of Two Natural Finish Lanterns with Galvanized Metal 10.25"x10.25"x27.00"H; 7.25"x7.25"x19.00..
Set of Two Wood Hexagon Lanterns with Black Metal Top with Natural Finish 13.50"x12.00"x26.00"H; ..
Set of Two Wood Lanterns with Weathered Wood Finish Dark Brown 10.00"x8.50"x24.50"H; 6.50"x5.50"x..
WOOD CABINET, 20x7x24" (485398) ..
WOOD SQUARE LANTERN W/ ROPE SET OF 2 11.5x11.5x32,9x9.5x24.5 (479357) SHIPS PALLET ONLY ..
Metal and Glass Lantern, (set of 2) Small Size: 6.5" x 6.5" x 15" and Large Size: 9" x 9" x 20" *..
GREY FROSTED GLASS LANTERN7.85 x 13.50H (481459) ..